I’m sick and my lovely country just experienced a major trucker strike. We didn’t get gasoline and some other products for a couple days. 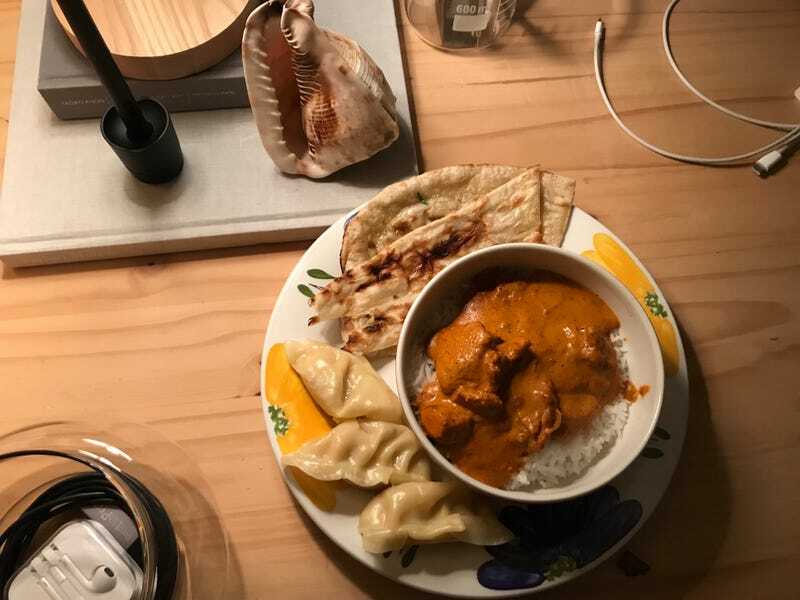 I have a flu and therefore am eating comfort food, Butter Chicken, Basmati rice, Ghee butter Naan and dumplings. AMA.